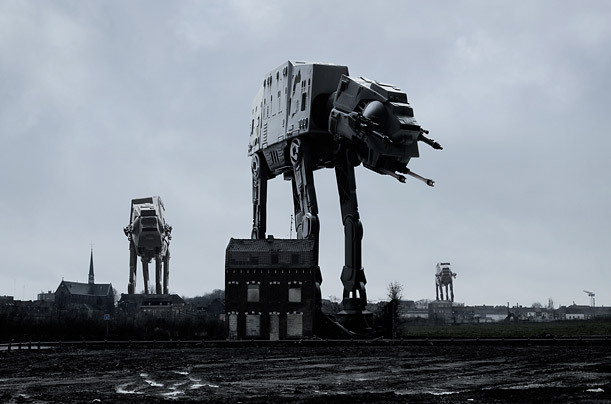 "Photographer Cedric Delsaux brings a new take to the Star Wars legend. He shoots French landscapes, then adds the characters digitally to get the right height, light, and perspective. Here's the cast as you've never seen them before"